I had met Australians in various parts of the world; China, Thailand, Hawaii and even in South Beach. And my experience with them has always been the same…. Excellent! I had found them to be intelligent, friendly and laid back people who were relatable and worldly. And this was the conclusion that I reached long before I made the plans to actually visit. But when I arrived even I wasn’t prepared for just how hospitable they are on their own soil. I met Marion Just, a fellow voiceover artist on LinkedIn after she saw a posting of my Vacation & Voiceover Video In Hong Kong. We messaged with one another for months as I was planning to visit Down Under. Her spirit shone even through her online presence as she reminded me of the open invitation to visit her and her husbands studio in Sydney. And I accepted. It was a 15 hour ride from L.A. straight with no layover. American Airlines had the best direct flight but for a deal, check out China Eastern. Upon arrival, we were picked up by my cousin and his best friend and taken to the hotel where we freshened up. From there they took us to a large Aussie lunch gathering of friends and family who refused to let us pay for our own meals. I wasn’t used to this. But this was the start of Down Under hospitality that didn’t stop till we boarded the plane to go back to the States. Everyone was so friendly and so conversational and happy. I felt at home in a place I had never been. And that spirit continued when I met Marion Just and Mark Kennedy of Blackbox Voice Productions in person. The internet is powerful but not so powerful as the connection I felt with my new friends across the Pacific. Upon arrival and the beginning of the interview, everything was just so natural. 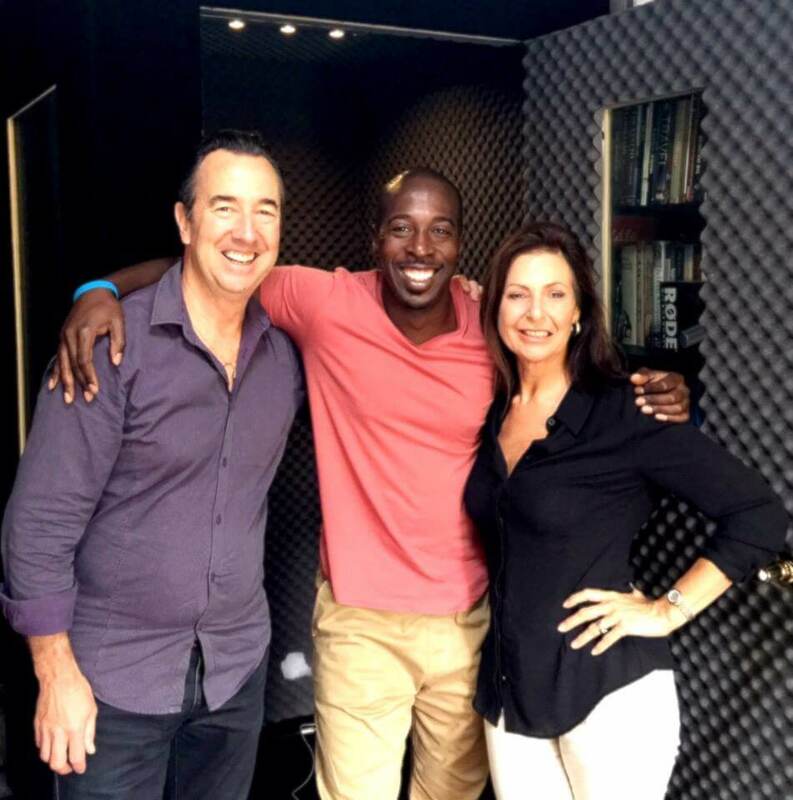 We talked about a wide range of topics in the voiceover industry including the demand for Australian voices in the marketplace, the importance of their work in helping fellow voices from around the world find work and my personal favorite, the value of educating and training in this field of voiceover. Aside from that Mark and Marion provided great insights on the country they call home. Sydney has so much to offer and so they drove us around for a while before settling in for lunch at an area cafe in Kirribilli Village near the Sydney Harbor Bridge. We talked about everything it seemed. They gave us some good advice on where to visit when we got to Melbourne too. Mark was the one who told me about the trolley system there. We spent hours chatting and had it not been for the fact that my cousin and friend came to pick us up, it might have been hours more. 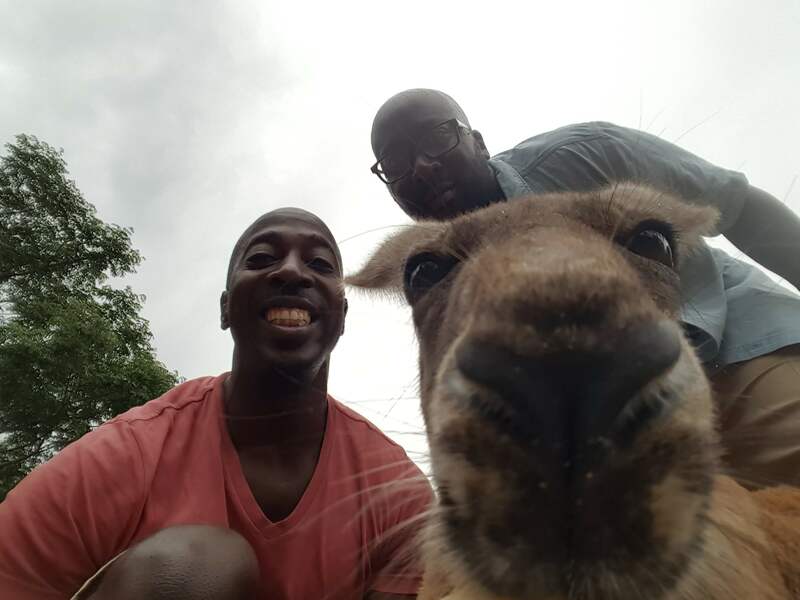 By the time I left their company, I had bonded with two new great friends. While the best thing about Australia is definitely the people, the New Years Eve fireworks surrounding the Sydney Harbor Bridge were also truly impressive. 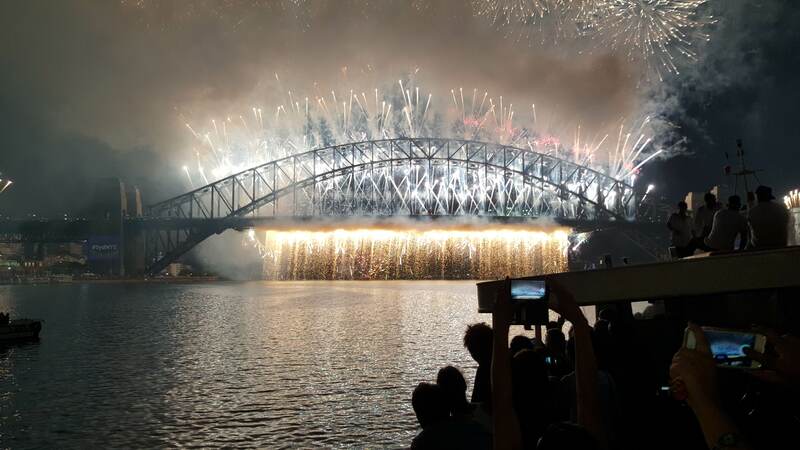 Growing up in New York I’d grown accustomed to great 4th of July fireworks, but it was nothing compared to how the Australians used the Bridge in their celebration. Thousands of people lined the shoreline to see what I call the best fireworks display I had ever witnessed. Even before the big show there were aerial shows and pre fireworks that kept us busy aboard the boat ride. And when the fireworks at midnight hit, it was a display that would’ve made the original Chinese fireworks inventors proud. If you want to see the Reef you should probably plan for it. Don’t be like Dane. Dane is a procrastinator who flew from Sydney to Cairns without a plan. Upon arrival we scrambled to find a tour in Port Douglas that would book us for the next day. And luckily, after calling almost every tour company there, weI found one that had just a few seats available. The tour company picked us up from our not so impressive hotel in Cairns the day after arrival and drove us one hour north to to Port Douglas to catch a boat 2 hours out to the Reef. I had snorkeled before but was still overwhelmed once I hopped in the water. I’m not a strong swimmer and the water in intimidatingly deep to me. But once I overcame my fear, ie received a life jacket, there was no stopping me. Armed with my Gopro I dipped into swim along the largest living structure on earth. Underneath I saw huge turtles exotic fish and of course the reef itself. Unfortunately according to our guides, the Reef is dying due to pollution and global warming. I felt very familiar with Melbourne once we arrived. It was if I had been there before. The extensive tram system reminded me of my time in San Francisco while aspects of the city like the layout took me back to Chicago and New York. It’s a big city with great food and alleyways aligned with various places to dine. Melbourne also boast a great shopping district downtown, which I resisted my natural urges to browse and of course buy from. I couldn’t resist the souvenirs there, also I passed on the Kangaroo testicle key chain. We strolled around the city via the free city circle tram which mostly serves tourist like us in the downtown area. In every large city I have to visit the tallest building to look down. For Melbourne, this is the Eureka building which has a retractable skydeck with a glass floor so you can look down. It’s very cool. It’s also the tallest building in Australia (to rooftop) and was the 3rd tallest residential building in the world at the time of our visit. From Melbourne there is the highly recommended Great Ocean Road Tour. The US has great road trips like Route 66. Australia has it’s version which starts in Melbourne and takes you down the coast to see some of the most beautiful sites the country has to offer. 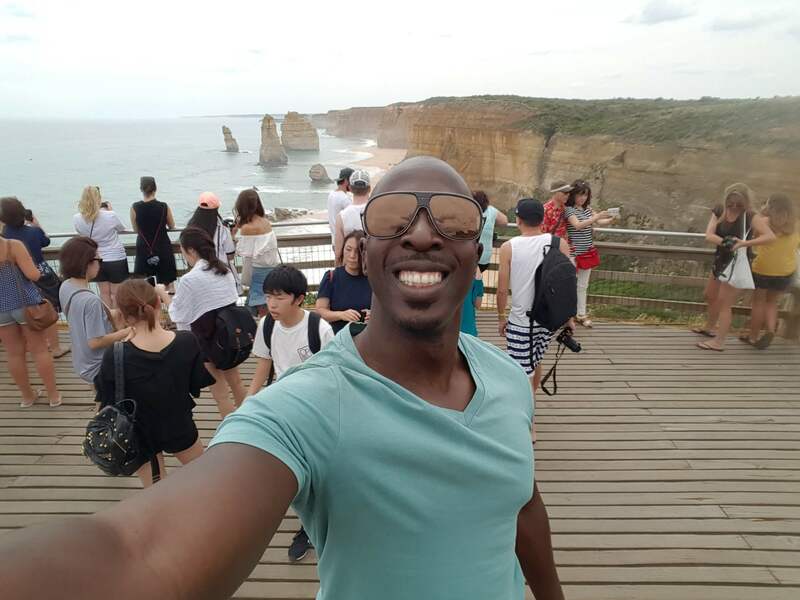 This full day tour takes you from the Port Campbell Park with some of the biggest and interesting trees to the famed and well photographed 12 Apostles rock formation which I had seen many times on screen savers. The views were great and short of the pesky and overwhelming flies, I loved it. I highly recommend it for those who want to get out of the city. Was it all worth it? Definitely! The bragging rights alone of being among the first in the world to celebrate the New Year was worth the trip. But this country has so much to offer. The fireworks show alone was worth every penny and every hour sitting uncomfortably in 3rd class on the plane there. I’ve been many places in the world but only a few make me want to definitely go back to. And what attracts me to Australia the most are the people. The people are the friendliest that I have met in the world.